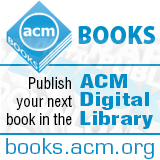 Welcome to the April 10, 2015 edition of ACM TechNews, providing timely information for IT professionals three times a week. Calhoun: How Can We Really Get to a Trillion Sensors to Power Internet of Things? The United States, in an attempt to surpass China in the supercomputing arms race, plans to build a 180-petaflop supercomputer called Aurora that will be used mainly for scientific research. Although Aurora's projected peak performance of 180 petaflops is more than three times the speed of the fastest existing supercomputers, other systems currently are being built to deliver between 150 to 300 petaflops of performance. Aurora is scheduled to be completed by 2018, and could be one of the fastest supercomputers in the world at that time. Aurora will rely on a design of Cray's next-generation supercomputer code-named Shasta, which provides a faster interconnect than Cray currently provides for supercomputers. The world's fastest supercomputer today is China's Tianhe-2, which can reach a peak performance of 54.9 petaflops. The U.S. Department of Energy's (DOE) Titan supercomputer currently is the second-fastest, but Aurora will be an upgrade over that system. DOE is awarding $200 million in contracts to Intel and Cray to develop the system. Intel plans on using silicon photonics technology, including the use of light pulses to transport data, to boost Aurora's performance. Two recent distributed denial-of-service (DDoS) attacks represent some of the first uses of a new tool in China's cyber arsenal, dubbed the "Great Cannon," an allusion to China's "Great Firewall" censorship infrastructure, according to a report from the Citizen Lab at the University of Toronto's Munk School of Global Affairs. The report says two recent DDoS attacks targeting GreatFire, a website that helps Chinese residents circumvent the Great Firewall, and open source programming website GitHub, were launched using the Great Cannon, which took control of millions of Chinese Web browsers to send the floods of traffic to the two websites. "There's no other reasonable explanation for the technical findings here than that this was an attack launched by the Chinese government," says report co-author Sarah McKune. Previous reports had linked the attacks to the Great Firewall, but the Citizen Lab report says the Great Canon is a distinct tool, although it appears to share some similarities with the Great Firewall. The report also says the Great Cannon's capabilities go beyond launching DDoS attacks and could include spreading malware to any computer visiting Chinese websites that do not use encryption. Intel says Moore's Law, which states the overall processing power for computers will double every two years and celebrates its 50th anniversary this month, will likely continue to hold true for at least another 10 years. Senior Intel fellow Mark Bohr says the company "can see about 10 years ahead," and does not expect to have any trouble continuing to adhere to Moore's Law as it rolls out 10-nanometer, 7-nanometer, and 5-nanometer chip architectures. Bohr says even as Moore's Law begins to bump into physical limits, gains in computing will still be realized through techniques such as three-dimensional stacking of components. Intel's Steve Brown says Moore's Law had helped make most of the great advancements of the digital age possible, pointing out today's microprocessors are thousands of times faster, less expensive, and more efficient than Intel's original 4004 processor. Meanwhile, Bohr says he doubts optical or photonic computing technologies will supplant silicon-based chips in the foreseeable future, although he expects optical interconnects to play an increasingly important role in connecting chips together. Bohr notes Intel also is exploring the use of materials besides silicon oxide to serve as the semiconductor base of its chips. IBM is testing artificial intelligence algorithms for a range of tasks, as well as implementing the algorithms in its hardware. IBM researcher Winfried Wilcke says the technology is closer to biological reality than other machine-learning software, and it can learn how to make sense of raw data more efficiently. The new algorithms are designed to replicate the behavior of circuits of about 100 neurons found in the outer layer of the brain called the neocortex. Wilcke says the brain's ability to understand the world is rooted in these repeating circuits, and mimicking them in software will make machine learning capable of much more. IBM researchers think they have found a balance between sampling biological functions and making software that is practical. For example, they are using the algorithms to analyze satellite imagery of crops, and to identify early warning signs of mechanical failures in data from pumps or other machinery. The researchers also want to create a computer that is a physical recreation of the algorithms by stacking multiple silicon wafers on top of one another, with physical connections running between them to mimic the networks described by the algorithms. Concepcion A. Monje is a researcher in the Robotics Lab of the Department of Systems Engineering and Automation at Carlos III University of Madrid. In addition to working to build the next generation of robots, Monje recently speculated about the future of robotics as a consultant on the science fiction film "Automata." The movie is about a future in which humanoid robots develop intelligence that eventually goes beyond that of humans. Monje says current technology is "light-years away" from such a scenario and the immediate future will feature robots and robotic devices designed to help out with everyday tasks "in companies, in factories, and in many other sectors." However, she does not rule out an eventual future in which robots evolve beyond human capabilities, but says this evolution will be guided by the decisions humans make as they design and program robots. "Based on the behavioral rules that are programmed, on its knowledge of its surroundings, and on its interaction with the rest of humanity, the robot could manage to evolve on its own," Monje says. She currently is focused on improving the mobility and dexterity of humanoid robots so they can better interact with and navigate the human environment. Student-oriented hackathons are growing in number, as doing well in such competitions could offer high performers a recruitment edge by forcing them to acquire new tech skills they would not learn on their own or through traditional education. Hackathons pit rival students or teams of students against each other in solving a specific tech challenge posed by the hosting company or organizer, with various incentives--including cash rewards--offered to winners. Major League Hacking founder John Gottfried expects intercollegiate hackathons will total more than 150 this year, up from about 40 last year. Collegiate hackathons encourage students to cultivate an education-first philosophy, with participants teaching their skills to other students. Many attendees say the events help them develop practical skills college courses fail to teach them, and enable them to gain technical proficiency at an accelerated rate. Recruiters see hackathons as a medium for nurturing future coders and other tech superstars, as their chaotic environments are viewed as akin to working at a startup, and students like hackathons as a way to simulate the experience of working for startups prior to committing to a job. Meanwhile, venture capitalists like hackathons because they offer an opportunity to identify emerging tech developments, such as virtual reality. Doctors in training often practice trauma skills on a human patient simulator (HPS), a life-sized mannequin that can exhibit lifelike behaviors such as breathing, bleeding, and expelling fluids. However, University of Notre Dame professor Laurel D. Riek believes they could be even more life-like, noting "their faces don't actually move, and they are unable to sense or respond to the environment." Riek and her team are working to develop a more realistic HPS using robotic technology. One of the major new features they are working on is expressive faces that can exhibit realistic, clinically relevant facial expressions that respond to clinicians' actions in real time. Riek and her team recently completed a pain simulation project that analyzed patient data to help their HPS generate realistic facial expressions indicating different kinds of pain. Riek and her team also are working on an interactive stroke simulator that will be able to respond to clinicians as they work through the case. Another new feature is interchangeable skins that will make it easy to change the apparent age, gender, or race of the HPS. The researchers also are seeking to make the new HPS inexpensive and accessible by utilizing three-dimensional printing. Purdue University researchers have developed inkjet-printing technology that can be used to mass-produce electronic circuits made of liquid metal, allowing for soft robots and flexible electronics. "We want to create stretchable electronics that might be compatible with soft machines, such as robots that need to squeeze through small spaces, or wearable technologies that aren't restrictive of motion," says Purdue professor Rebecca Kramer. The technique focuses on harnessing inkjet printing to create devices made of liquid alloys, a process that "now allows us to print flexible and stretchable conductors onto anything, including elastic materials and fabrics," Kramer notes. The method involves dispersing the liquid metal in a non-metallic solvent using ultrasound, which breaks up the bulk liquid metal into nanoparticles. "Sonicating liquid metal in a carrier solvent, such as ethanol, both creates the nanoparticles and disperses them in the solvent," Kramer says. After printing, the nanoparticles are rejoined by applying light pressure, which makes the material conductive. The technique enables developers to choose which portions to activate depending on specific designs, and could make it possible to rapidly mass-produce large quantities of the film. In an interview, University of Virginia professor Benton Calhoun describes the Internet of Things encompassing a vision of growing "to hundreds of billions or even trillions of sensors in the next decade...integrated into the things that we wear, things that we use, or in our environment in a way that we don't really notice...collecting useful information and getting that information back in such a way that it creates value for people." He says critical to realizing this vision is scaling up the required sensors, and Calhoun founded PsiKick to commercialize wearable, ultra-low-power wireless sensors originally developed for universities. These systems-on-chips communicate wirelessly and sense information from the surrounding environment, transmitting it to some existing structure, such as a cell-phone or an existing network. The data is then routed back to stakeholders via the Internet or the cloud. "The idea is to provide a platform for self-powered, battery-less devices in the 'Internet of Things,'" Calhoun says. One use he envisions for PsiKick's technology is for medical and clinical applications. "Instead of wearing a device that would collect information about your heart for a day, you can potentially have a device that harvests energy from the body, is worn in clothing, and keeps continuous monitoring," Calhoun says. An international team of researchers have successfully integrated the core circuits of quantum teleportation, which generate and detect quantum entanglement, into a photonic chip, a breakthrough they say could lead to the development of ultra-high-speed quantum computers and strengthen the security of communications. In 2013, University of Tokyo researchers succeeded in realizing perfect quantum teleportation, but it required a system covering several square meters, took many months to build, and reached its limit in terms of scalability. However, University of Bristol researchers say they have integrated those optical circuits onto a silicon microchip measuring just a few millimeters using state-of-the-art nano-fabrication methods. The Bristol researchers say their experiment marks the first demonstration of quantum teleportation on a silicon chip and note the result has solved the problem of scalability. The discovery could be a significant step toward the ultimate goal of integrating a quantum computer into a photonic chip. The implementation of teleportation onto a microchip is an important building block unlocking the potential for practical quantum technologies, according to the researchers. "Being able to replicate an optical circuit, which would normally require a room-sized optical table on a photonic chip, is a hugely significant achievement," says Bristol professor Jeremy O'Brien. Rice University graduate student Mayank Kumar and professors Ashok Veeraraghavan and Ashutosh Sabharwal have developed DistancePPG, a highly accurate, touch-free system that uses a video camera to monitor patients' vital signs by looking at their faces. DistancePPG can measure a patient's pulse and breathing by analyzing the changes in their skin color over time. Although previous camera-based systems have struggled with low-light conditions, dark skin tones, and movement, DistancePPG utilizes algorithms that correct for those variables. The researchers say the system will enable doctors to diagnose patients from a distance, and will be especially helpful for monitoring premature infants for whom blood pressure sensors can pose a threat. The researchers note they solved the challenges faced by previous systems by adding a method to average skin-color change signals from different areas of the face and an algorithm to track a subject's nose, eyes, mouth, and entire face. "Our key finding was that the strength of the skin-color change signal is different in different regions of the face, so we developed a weighted-averaging algorithm," Kumar says. "It improved the accuracy of derived vital signs, rapidly expanding the scope, viability, reach, and utility of camera-based vital-sign monitoring." University of Minnesota researchers are using robots to detect early signs of autism in children and to reduce the amount of fertilizer contained in runoff. University of Minnesota professor Nikolaos Papanikolopoulos is developing a robot equipped with sensor technology that can detect visual cues that could determine if a child has autism or if a farmer needs to fertilize a certain area of crops. In 2009, Papanikolopoulos adapted his previous work of monitoring visual behaviors with the U.S. Department of Homeland Security to help the university's Medical School start developing a technology to monitor early behavior signs of certain diseases, such as autism. "We are basically using computer-vision tools to detect behaviors, like unprovoked hand flapping or head nodding," says University of Minnesota researcher Josh Fasching. Although automation cannot replace the knowledge of doctors, it can help analyze large amounts of data and identify areas that require further investigation, according to Papanikolopoulos. The technology also can be applied to the agriculture industry. It is being tested with the Minnesota Corn Growers Association to learn how to more efficiently spread chemicals to reduce hazardous runoff. The researchers have developed a solar-powered drone that can fly over farms and use sensors to detect yellow-colored corn leaves, dispersing fertilizer only to those plants that need it. Computers could one day take on the personality of their human users, according to Google X laboratory founder Sebastian Thrun. Full personalities could potentially be transmitted much like data is now routinely transmitted via computers, Thrun recently told a symposium at Stanford University. "Perhaps we can get to the point where we can outsource our own personal experiences entirely into a computer--and possibly our own personality," he says. Thrun also suggests computers with human personalities are not as far off as people think. However, Jaron Lanier, a virtual reality pioneer known for his books on the philosophy of computers, doubts scientists could achieve that goal. Lanier describes humans as moving targets, noting people change themselves in response to the presence of technology. As a result, he questions the ability to measure success. Lanier cautions Silicon Valley puts too much faith in the progress of technology. "I think we are going to have a real struggle to define ourselves in a humane and sweet way as we go through a lot of changes," he argues.